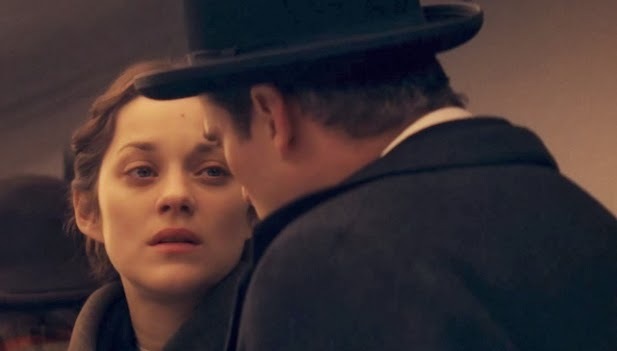 Screening #2 yesterday was James Gray's The Immigrant. Talk about an emotional rollercoaster day. But this movie really had some wonderful elements to it. The movie is set in 1921 and begins with a character named Ewa (No, not Ay-wa. she's Polish, so it's Ay-VA. Philistines...I definitely did not make that mistake when I was reading the write-up of the plot...probably...). Ewa and her sister Magda have just arrived on Ellis Island from Poland, going through customs when Magda is apprehended by the medical examiners and taken to the hospital to recover before she can go through. Ewa carries on alone, but after giving the address of the family member with whom she'd planned on staying, she's informed that their address is invalid and that since she'll have nowhere to stay she'll likely become the state's problem. With this in mind, she's sent to be deported. But then! As luck would have it, a gentleman named Bruno takes pity on her and tells her that he can help her get through customs. Illegally sneaking her away, he then takes her to his place of residence, where it begins to come clear that his plans for her may be questionable. A strong Catholic with a decent upbringing, Ewa tries to leave, but becomes trapped by her lack of papers and money. She begins to earn money at Bruno's "theater" and he ends up pimping her out so that she can pay for her sister's care and also for her safe delivery to New York City. The story is a fascinating perspective on what life was like for an attractive immigrant woman at the time. Seriously, every man in this movie loses his mind over this girl. So, the plot is a bit complicated, but there is so much complexity to these characters that it becomes a little difficult to sort out the larger details. 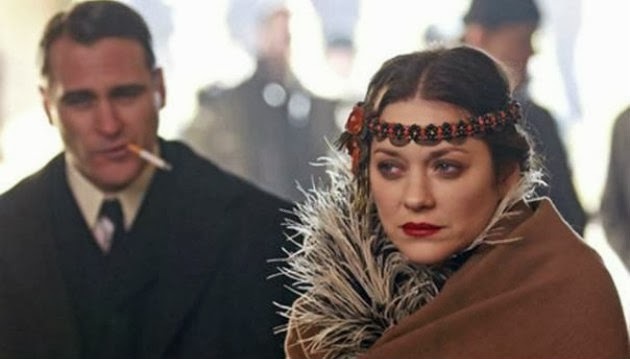 The driving forces in this movie are Ewa (played by Marion Cotillard) and Bruno (played by Joaquin Phoenix). But interestingly, their characters are atypical of this sort of film. In most movies, women put in the position of becoming prostitutes against their will will end up drunks with broken spirits resigned to their fates. But Ewa is a fortress of a character. Instead of becoming weakened by her situation, she is powerfully driven by the thought of getting her sister out. As a result, she makes it clear that she hates herself for doing what she's doing, but she keeps her head high, makes sure she's getting paid her cut, and perseveres. By contrast, the character of Bruno is not the gangster that we so often see in movies about this era. Driven by his love and admiration for Ewa, Bruno more than once makes a fool of himself to guarantee that she stays with him. And his temper is a spectacle. But because of this, it's hard to polarize him against her as a bad guy. Especially towards the end, when their characters become so starkly contrasted with the people we meet at the beginning. Great acting! James Gray, during the Q&A following the film, made a comment that the movie is supposed to be somewhat operatic. And it is. The focus on the woman's point of view makes it so. Most movies set in the 1920s that I've seen have been centered around a gangster, tommy guns and booze galore. But that isn't this movie's agenda. Ewa's point of view becomes so powerful that it really gives you an interesting look at how awful it must've been to be a woman back then. And an immigrant in general. This one is a little rough to watch in some ways, but the character complexity in it is incredible. 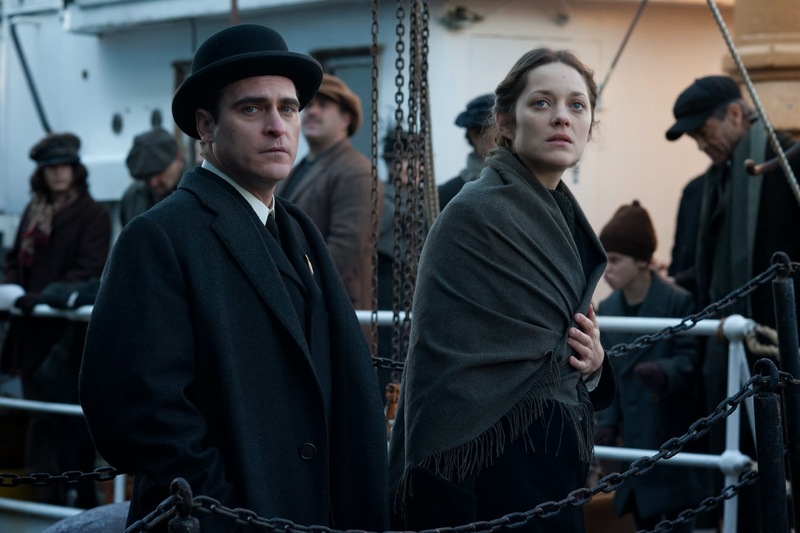 A fascinating look at archaic gender stereotypes, skewed morality used as a weapon to treat people cruelly, and the general problems of being an immigrant in 1921. Well done, James Gray! A total "direct shot to the heart." Exclusive trailer has gone live on Yahoo Movies today!